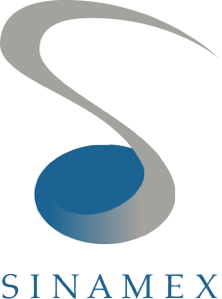 Sinamex is known by musicians and audio recording professionals for offering the latest products and expertise in audio recording technology, equipment and instruments at the best prices. We have won multiple awards and are the leading specialist in this business. We are the exclusive distributor for the industry’s top manufacturers and if you’re looking for knowledgeable sales staff, affordable prices and dependable after-sales service, you have come to the right place. Enjoy delivery for our products anywhere* in Singapore. Straight to your door. Deliveries of products in stock take anywhere between 2 – 6 working days. The moment the shipment is out of our doors, we wil let you know. *We do not deliver to various restricted or secure locations. We accept most methods of payment such as NETS, Visa, Master, Amex, Paywave, etc. We offer One Year Service Warranty* on all our prodcuts to ensure that all your equipment is 100% working order and free from manufacturing defects! Unfortunately, we do not offer any form of refund program here at Sinamex. However, If something you purchased is not working like it shoud be, contact us and we will be happy to sort our your issues for for you! Our customers know that they can rely on us for to recommend the best in quality and reliability. Our industry knows it too. We are proud and humbled to see our leadership in the professional audio recording inudstry, highlighted by awards from leading manufacturers through the years. Our engineers in Singapore and Malaysia are officially certified by Audinate Dante to be certified Dante ready for your next Dante project! Audio Over Internet Protocol Ready! Our enginners are certified adept at the various Audio Over Internet Protocals such as Dante and AVB and the potential cross intigration of the protocols. Speak to our enginners about your next AoIP project today! …thank you for the great service. It’s not often I come across someone who, instead of just wanting to make a sale, possesses extensive knowledge about the product(s) in question, and understands what the customer needs – even if sometimes he/she isn’t too sure (ie. like me heheh). In all honesty, I have had the experience of walking into many music stores here, only to be constantly followed around or basically ignored. My experience at Sinamex was a complete 180 from that – it was a pleasure. Thank you for the awesome buying experience, I bought the Push on a Sunday and had it installed in my studio on Monday morning! One of the best online purchases I’ve ever made, congrats to all the team.